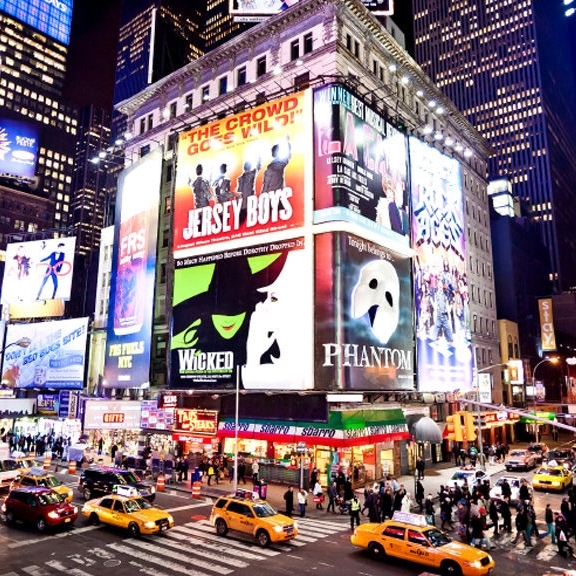 Our main goal is to give students "a taste of Broadway," the possibility to travel to New York, to study with prestigious teachers, to enjoy Broadway shows, and to explore the city while getting comprehensive personalized training. We engage, educate, and enlighten students and young professionals worldwide by spreading the American Songbook, bridging language and culture through small class sizes, dynamic teaching practices, and live performance opportunities for our students. Our team of professional teachers works with international performing arts academies to supplement and support our music, drama, and dance programs. We feature guest artists and other special events each session. During our sessions, we have visited the Rodgers and Hammerstein organization, the Playbill Printing Plant, TDF Costume Collection and performed at the Consulate Generals of Argentina and Uruguay as well as the Duane Park, The National Opera Center and the Alchemical Theater Lab. What is your relationship with Manhattan College? GO Broadway is a non-credit program of Manhattan College as of 2018. Among these programs are the Manhattan College Summer Day Camp, NYC Museum Experience, Digital Photography, ESL, NYC Finance and Budgeting Certificate Program, NYC International relations and Law Certificate Program, and Performing Arts programs. Manhattan College is an independent institution of higher learning embracing men and women from all faiths, cultural orientations and traditions. The college’s mission is to offer a contemporary, individualized, and person oriented educational experience towards preparing the graduates for individual development, success in their professions, engagement in the society, and high quality services to human beings. The institution pursues the above mission through educational and research programs that integrate a broader liberal education with focus on particular disciplines in the art and science, business and education as well as engineering. Today, the institution has a population of 3,637 undergraduates and the institution sits on a 22 acres piece of land in New York City. The main focus of the institution’s culture include excellence in teaching, respect, and honor of human dignity. But the college also strives for a reflection towards faith and its relation to human beings, emphasis on the ethical conduct of its staff as well as its graduates and commitment towards social justice. Apart from undergraduate as well as graduate training, Manhattan College also takes part in adult and continuing education. Through its School of Continuing and Professional Studies Non-Credit Programs, the institution offers a variety of programs designed for adult learners and those that wish to pursue a more profound education. Throughout the year, we facilitate private and group lessons in New York City for those who can't make it to our July or February programs.